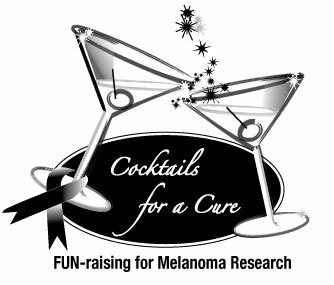 Please join us on Saturday, December 4, 2010 at Rosie’s Cantina in Millbrae where we will kick off the first in a series of FUN-raising events for melanoma charities. Our December event, Margaritas for Melanoma, will benefit the Melanoma Research Foundation. Research is of the utmost importance because of the lack of treatment options available to those with this deadly cancer. Every hour in the US, someone dies from melanoma – the most common form of cancer for young adults 25 to 29-years-old. Mike’s Stage 3 diagnosis at age 41 was devastating – but there are so many others who are worse off and need our help. The Melanoma Research Foundation has been instrumental in bringing together patients, drug companies, and doctors so they can collaborate and beat ‘the beast’ together. Sun protection from UV Skinz.com – Rhonda Sparks started UVSkinz after losing Darren Farwell (her husband and Emily’s high school buddy) to melanoma when he was just 32. A photography package from Jaime Martin Photography (see our pics on her site!) worth over $250. Children are welcome and we have various ticket options available – please visit the EventBrite ticket page for prices and options. WE HOPE TO SEE YOU ON DECEMBER 4!